AmpliTube will make you feel like a rock star with "51 individual stompboxes and effects, 31 amplifier preamp & power sections, 46 speaker cabinet models, 15 high end stage and studio mics, and 17 post amp rack effects". For those getting into playing electric guitar, gear can get expensive very quickly. 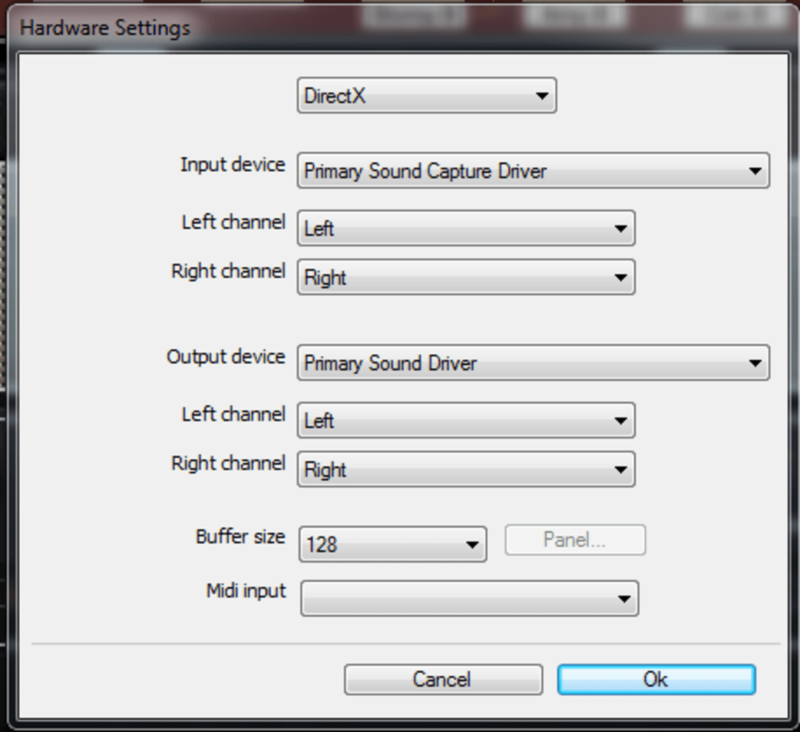 AmpliTube aims to provide the same experience of playing a gig with digital effects and equipment. You'll still need a guitar, digital foot pedal to control the program, and a MIDI controller, but that's it. There are plenty of other guitar interfaces out there, like Guitar Rig but none are quite as beautiful and well laid out as AmpliTube. You can experiment with beautifully rendered amps and other vintage guitar equipment in AmpliTube's Custom Shop and can try out equipment in AmpliTube's store (which unfortunately uses a point system) before buying. Buying new gear can get expensive, especially with an already expensive application, but thankfully, you get a 10 day free trial. 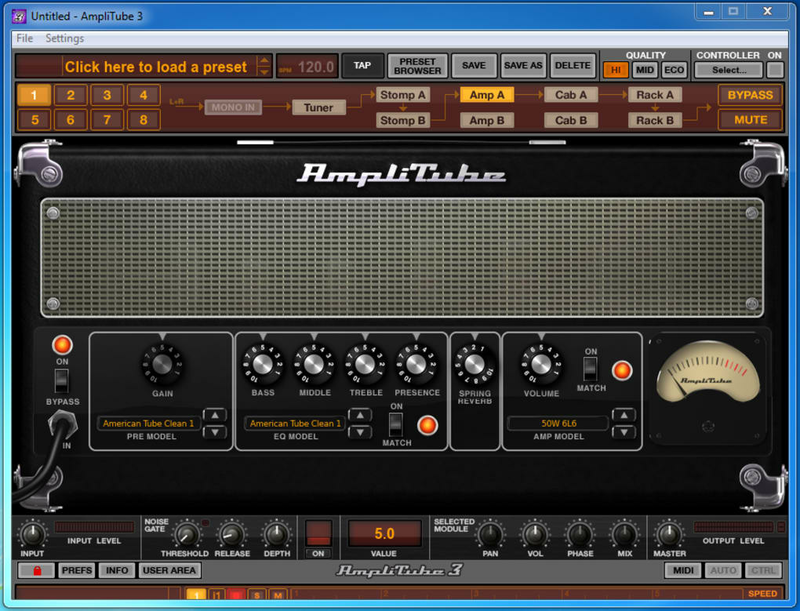 If you're a guitarist who wants to star recording digitally, AmpliTube is a perfect solution. 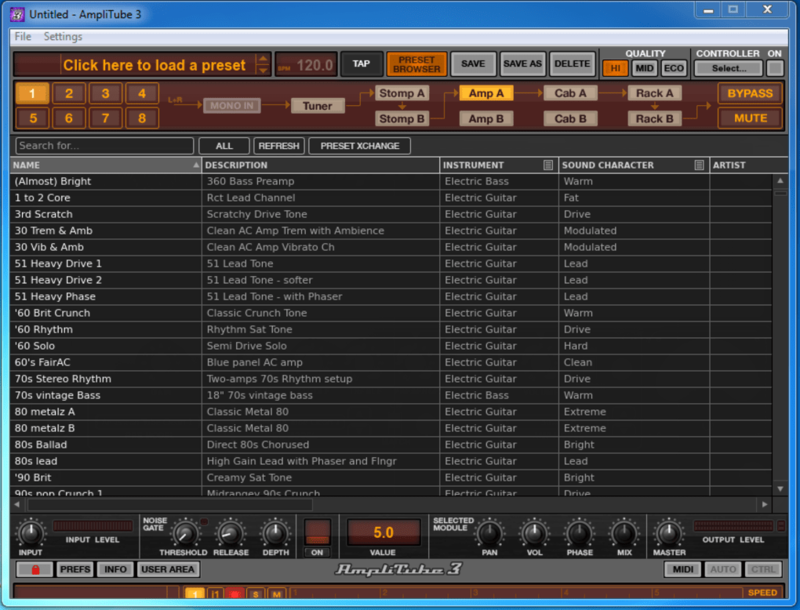 While expensive, this program delivers the most comprehensive set of digital tools for the guitarist. 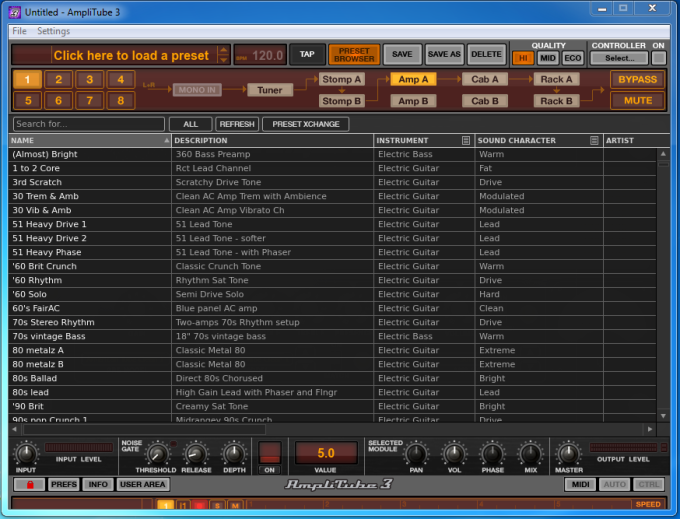 a super software for any guitarist like myself, full of different amps.. i think its great, but what happens after the ten days have expired there is no serial number to install for registration purposes. What do you think about AmpliTube? Do you recommend it? Why?